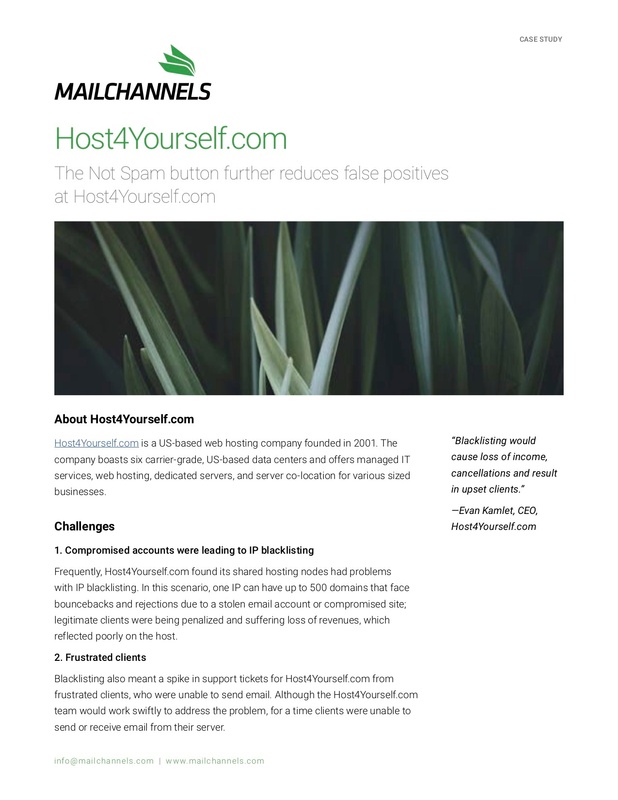 Based in the US, Host4Yourself.com is a web hosting company that boasts six carrier-grade, US-based data centers and offers managed IT services, dedicated servers, and server co-location for various sized businesses. Compromised accounts leading to IP Blacklisting. Frustrated clients unable to send or receive mail. Valuable resources wasted on solving blacklisting issues instead of company growth.